Selena Gomez’s latest album is making people crazy worldwide. Presently, the video has more than 10 million views on YouTube, in just 24 hours. In case, you have not watched it yet; you are missing a good game, my friend. Directed by Jesse Peretz, Bad Liar is one of the best videos ever by Selena. It gives a whole vintage vibe with Farrah Fawcett-inspired wig and famous red lips of the 70s. However, Chances are there that you missed noting some things while Watching the Video. I will show you the truth. Why Selena Gomez’s New Song Bad liar is Special? The Whole world knows Taylor Swift and Selena Gomez are the best friends and Selena just proved the same in Bad Liar as Taylor Swift has a cameo role in her latest release. Were you able to spot her?? 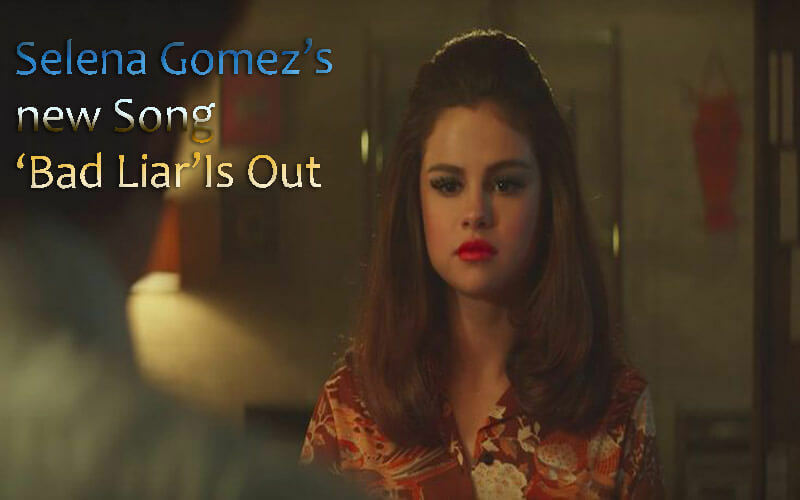 If no, just go the official video on YouTube and jump to 3:20, where Selena is shown in her room. There are posters and paintings of Taylor Swift as seventies rock chick in the backdrop next to Selena’s bed. Ok, let’s put it out there this is going to be a spoiler too. For this reason, we recommend you to watch the video first. From here on, we are assuming you are done with watching it. Do you get the storyline of the video? If it does not make any sense to you, let us explain what happens as the story. Selena is a lesbian and has a crush on her basketball teacher. She is a Bad Liar as she can’t hide her feelings and the fact that she prefers women. At the same time, her father is having an affair with her basketball teacher likes. So the father is a Bad Liar because he is bad at lying to Selena as she knows and you could see father’s facial expression that he has stopped loving Selena’s mother. That was evident, so he is a Bad Liar. Finally, her mother is a Bad Liar as she pretends she doesn’t know about the affair, but clearly, as you could see that she knows what her husband is up to. It is a tale of the family full of Bad Liar. In Bad, Liar Selena has played roles of housewife mom, dorky dad, basket coach of 70s and of course, a school girl as she relived her high school days in the video. As a matter of fact, this is not the first time any singer went for doing multiple personalities in his/her music video. Beastie Boys, Lily Allen, Foo Fighters, The Jonas Brothers, Mariah Carey and last but not the least, Britney Spears have rocked this technique before. Yes, you can check out their videos and judge who masters the art of acting multiple personalities in acting.